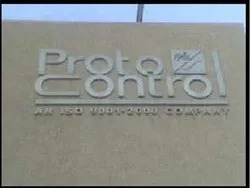 Since the inception in year 1987, Protocontrol Instruments India Pvt. Ltd., has been one of the dominating manufacturers, exporters and suppliers of Electronic Equipment. Proximity Switches, Safety Switches and Trip Indicator are some of the hot selling products from an immense assortment offered by us. 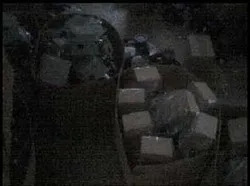 We have ensured the premium quality of offered products as we personally examine all collections of products on set quality parameters for delivering the perfect collections to the associates. We export our products across the globe. We have built strong relations with our valued clients owing to the expertise we possess in this domain. We are backed by a ultra modern infrastructure, which is set up with the new technology tools and technology. With the help of our upgraded infrastructure facility, we have been able to deliver a bulk quantity of the offered products within the committed period of time. All our products are quality approved, as they are passed through a stringent quality assurance test after the manufacturing process. Owing to our perfect product range, we have earned huge appreciations from the customers. We offer services to our valuable clients such as Level Management Solutions and Turnkey Automation Projects. With the continuous guidance and motivation of, Mr. Sanjay Belhe, our organization has attained a competitive and distinctive position in the market. His years of experience and in depth knowledge of this domain have helped us to reach great heights of success. He has passionately participates in each and every matter of the business for developing and correcting coordination in every aspect. 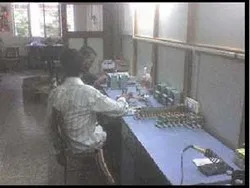 Manufacturing & Trading of Electronic Equipment. Our first principle is to manufacture electronic instruments, electromechanical instruments of international quality standards. We abide by all the rules of ISO 9001:2000. We have set quality checks at different levels of production. Apart from this, we make use of modern machines that enable us in manufacturing high quality, superior performance and durable products. Our organization has always worked for the developing the close association with our valuable clients and creating cordial professional relations. The appealing look of our supplied Indicating & Controlling Instruments and Safety Switches uplifting the environment make us a tough competition in the industry. Besides that, the company has perfect understanding of the products best for the clients on the basis of the designs, sizes and usage of the customers. Owing to our quality oriented approach, we have been able to develop a huge client base in such short frame of time. Our organization has appointed energetic and enthusiastic employees who have worked wholeheartedly for the prosperity and betterment of the company. They have sincerely and responsibly complete the task assigned to them as per the industry defined norms and standards. Our well qualified workforce has helped the company to develop good relations with its clients and effectively meet their precise demands. We also have Project Division for offering complete turn key automation solutions. We design, install and commission complex data acquisition and control and automation package specially designed for you. 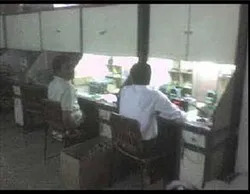 Our expertise is in Instrumentation, Drives, SCADA, EMS, PLC based & software based automation projects. We work for automation of forging, automobile, cement, Power Generation, Chemical & Steel Industry. We have maintained our goodwill and reputation across the market by ethically practicing every business activity with genuine motive and utmost transparency. The company has listed its name among the distinguish organization of the market because of the superior quality standards and eye-catching products. We have an ultra-modern infrastructure facility, equipped with modern machines and tools. By using this, we are able to manufactured offered products in bulk also. For a smooth and trouble free manufacturing, we have divided it into different units. Apart from this, to make the provided products in accordance with the client detailed requirements our team members work with each other in enough coordination.